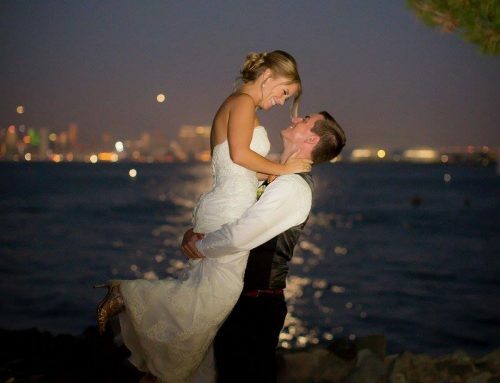 Cassie and Rob were married in the spring, and their wedding day was a beautiful Scripps Seaside Forum wedding! How amazing is this dress? We love the inclusion of the classic car. How happy does Rob look to see his beautiful bride? The arch was incredible! 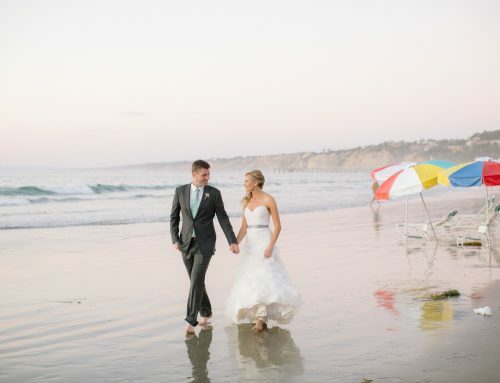 We love the refined, beachy and romantic influences infused into Cassie and Rob’s ceremony. To top it off, the weather that day at the Scripps Seaside Forum was picture perfect. Their ombre cake was adorable! It was perfect against some of their more traditional decor elements. Cassie and Rob, it was a pleasure working with you! Your wedding day was lovely!